How can I use Teamstuff for registrations? There's a few ways to get teams together. You might know the group of players at the start - in which case you can invite them all in via their emails. Easy. The alternative is that you want the players to register for your teams. In this model, you'll let your club know that registrations are coming up, it's then up to the players and their families to join up. Well Teamstuff has great support for this process, and it's called our 'Open Invitation' process. 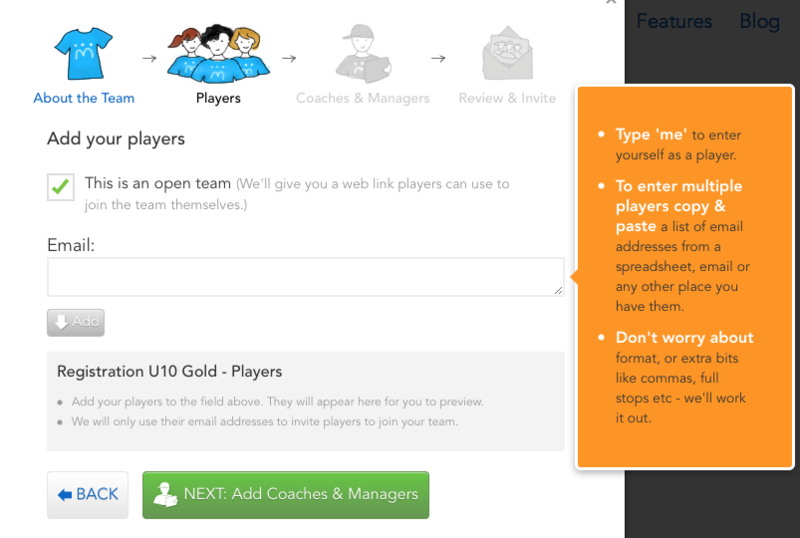 When you create a team ( or indeed any time after ), you can turn on the Open Invitation process. Maybe a better name for this would be 'Self Register'. Either way, it's just a tick box - have a look below. And don't worry - if you forget the link, you can still find it again as part of the team contact details. 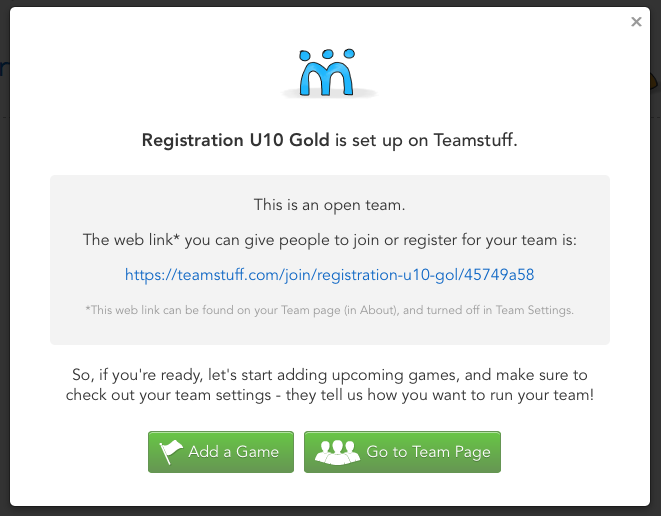 Teamstuff will now generate the registration 'key' that allows players to self register. This key is just a web link - a URL. Anyone with access to that link can sign up for your team. Teamstuff is very concerned about privacy implications of being members of the team. That's why every team in Teamstuff is 'invite-only'. The email invites are pretty secure - the Open Invitation is still a permission based system, but it's all about who gets that key ( the web link ). And that's not up to you. So you can now let people know about the invitation process. Send emails out, add to a private web site ( some schools do this ) , let people know by text. Whatever works for you - let your club members now. If you had lots of age groups - that's no dramas, you'd just add Open Invitation teams for each age group. People self register. And they'll go through the same registration process as if they had an email. Join kids and parents, get contact details etc. Note that teamstuff does not mandate lots and lots of information, so if you want particular information to be there, best to include those instructions in your communications. You still have full administration control - it's just a normal teamstuff team - it just happens to have a web link that lets people join it. At some point, you might want to close registrations. No worries - it's a team setting. Turn it off. And your team is back to email invite only.